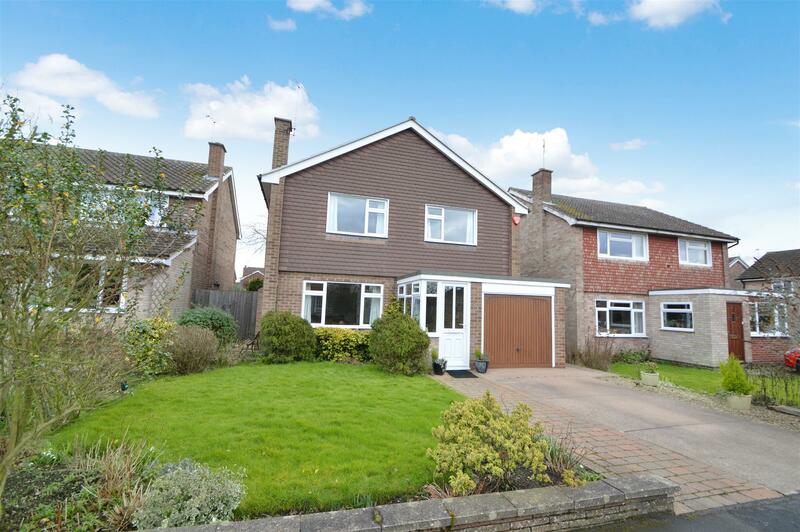 Benjamins are pleased to present this deceptively spacious, extended, four bedroom detached family home, situated on the highly desirable Highfield Road in Keyworth. Within easy reach of excellent local facilities including shops, sought after schools, churches, restaurants and of public transport links to Nottingham City Centre and Leicester. The property provides accommodation arranged over two floors which includes; entrance porch and hallway, living room, extended kitchen, extended dining/family room, downstairs wc to the ground floor. 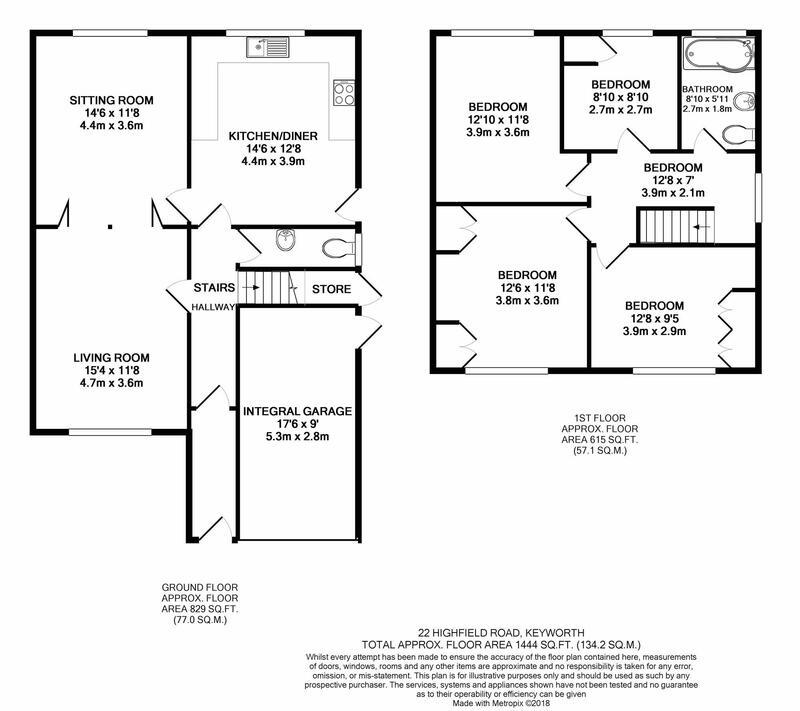 To the first floor; landing area giving access to four spacious bedrooms and a family bathroom. Benefiting from gas central heating including recent Baxi combi boiler, and double glazing, the property enjoys an excellent and well maintained enclosed gardens to the rear, with a driveway to the front and a garage providing off road parking. Fitted with two piece white suite comprising low flush w.c, wash hand basin with single taps over, obscure window to side elevation. With double glazed window to front elevation, radiator, stone fireplace with gas fire and wooden plinth over, television point. Fitted with a range of wall, drawer and base units with rolled edge work surfaces over, inset sink unit with mixer tap over, plumbing for dishwasher, built in electric oven, four ring gas hob, tiled splash back with extractor fan over, space for under counter fridge and freezer, part tiling to walls, radiator, double glazed window over looking the rear garden, double glazed door leading to the side elevation. With double glazed window to front elevation, radiator, fitted wardrobes. With double glazed window over looking the front garden, radiator, fitted wardrobes and fitted shelving. With double glazed window to rear elevation, radiator, airing cupboard containing combi boiler. Re-fitted with a contemporary white three piece suite comprising panel bath with over head electric shower and screen, low flush w.c, pedestal wash hand basin and mixer tap over, travertine tiling to walls, vinyl floor, chrome towel rail, radiator, wall mounted mirror with built in light, obscure double glazed window to rear elevation. To the front of the property there is a concrete driveway with hard standing to side providing off road parking and in turn gives access to the integral garage with up and over door, double glazed window to side elevation, door leading to the rear garden, power and light. The front garden is mainly laid lawn with a variety of plants and shrubs and surrounding borders. The rear garden is approx 55 sqm in area mainly laid to lawn with a variety of plants, shrubs and perennial flowers in the surrounding borders, with small patio area. There is an additional garden gate leading to Belvedere Close. located to the rear.